My clients often ask me how I got into Feng Shui SO here is a summary of my Feng Shui journey which started over 7 years ago. It all began in 2004 (interestingly, the start of Period 8) when my good friend and masseur Judy Smith suggested I get her friend, Melynda Munroe who was a Feng Shui Consultant, (coming up from Melbourne to stay with her) to do a consult. Judy knew I had put my house in Pennant Hills on the market and had bought another house in the neighbouring suburb of Cherrybrook. She suggested I get Melynda to have a look at my new house so any suggestions she had could be incorporated from the start of our residence there. I trusted Judy 100% so asked Melynda to come and look at the new property. I should note that the removalists had been booked for 3 days time and the house was 75% packed into boxes ready for the move when Melynda came to do her consultation. I knew nothing about Feng Shui at the time, other than it had something to do with energy in the home. I picked Melynda up from Judy’s and we pulled up in front of the house. Straight away she commented that my husband had chosen this house (which was right). She could tell using her understanding of Form school that the energy of the house was predominantly male. She stood at the front door looking out into the street holding her Lopan (Chinese Feng Shui Compass) taking measurements. She wasn’t happy! There was a very large electrical tower to the left of the house about 50 metres away. I then took her on a tour of the home and she really disliked the energy within the home and asked if we could go to my other home so she could look at that. She did some calculations using all the occupants birth dates and also looked at where the stove was placed within the house. She basically advised against moving into the new home as my daughter (who was 3 years old at the time) had her personal energy located in the pool and she indicated there was a strong chance of her drowning in the pool. She also advised that my personal energy was located on the staircase and that there was no remedy for this. She said this meant it was likely I would be having surgery within 2 years. There was a myriad of other issues which she said needed to be remedied and even then the energy would not be all that supportive. She didn’t at all like the vibe in the new house and wanted to get out of there as quickly as possible. You can imaging how upsetting this was as we were all ready to move into our dream home. I took her back to my old house which she said was quite neutral and much better than the home we were about to move into. She strongly recommended that we take it off the market and put the new home on the market and sell it without moving into it. She suggested some improvements in our current house including moving the front door by 12 degrees and placing salt water cures, black and red mats at entrances and aloe vera plants in various rooms of the house to remedy the negative energy there. Now I know most people would have just moved into the new house regardless of the advice however I am not like most people. I believe that if you go to the effort of paying someone to come and do a consultation then you should follow through on their advice (I wish more of my clients held the same view). Luckily my husband agreed with this decision and we cancelled the removalists, unpacked the boxes, put the new house on the market (selling it for $20K more than we had bought it for), changed the angle of the front door by 12 degrees (cost $1500 and the builder thought we were nuts) and put the other remedies in place. A few months later Melynda ran a Basic Introduction to Feng Shui course which Judy encouraged me to attend. I jumped at the chance. The date of the course was 25 September 2004 and we covered so much information in this course that my mind overflowed – I wasn’t ready to do anything with the info at that stage (looking back on these notes the information presented was pure gold!). Unknowingly I launched my business on the very same date a few years later. I read a few books and studied different philosophies including Chinese Medicine, Kinesiology, Reiki, Sacred Geometry, Mediumship and other Metaphysical subjects over the next few years. I also ended up leaving my husband and was granted a divorce. Whilst sorting through some old paperwork I found Melynda’s business card and rang her up to seek her advise about my upcoming Property settlement in December. She gave me some great advice which I used and I was successful in getting the outcome I had hoped for. I wanted to use part of the settlement money to fulfil my unrealised dreams. In January I enrolled in a Certificate IV in Feng Shui course through the Australian College of Environmental Studies (ACES). I cannot recommend this course highly enough. It is an excellent foundational course which trains you in so many essential components that you need to understand to be an effective Feng Shui Consultant. Unlike other courses it teaches you about Space Clearing, Geomancy, Environmental issues that can affect people’s health as well as teaching about core Business Principles. All of these components are crucial in helping clients and I use all of these aspects to some degree when completing a consultation. My teachers, Liz, Katina, Nicole and Raphael were all excellent at imparting their valuable skills and experiences that have continued to assist me when I consult all these years later. I already have a client that has commenced study with ACES due to my high recommendation of the course. I finished all subjects of the course with Distinctions and High Distinctions and my thirst for knowledge re this ancient art could not be quenched. 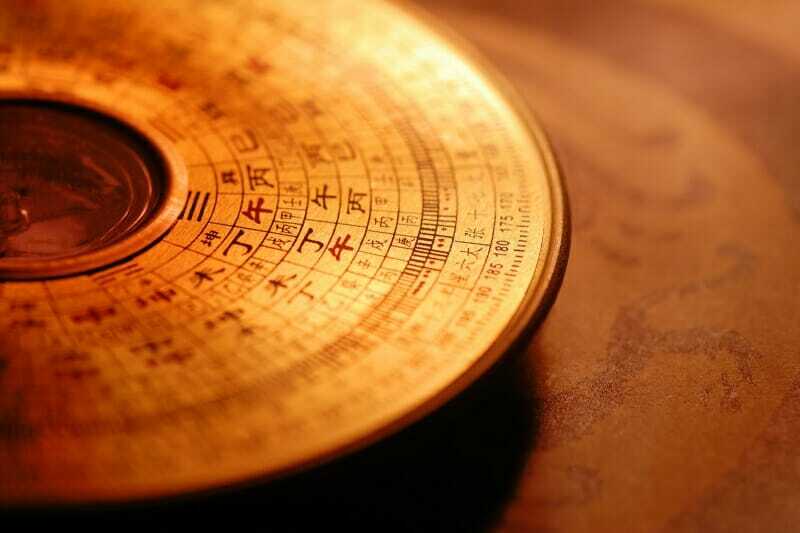 I realised that a good Consultant also needs to have an in depth knowledge about their client’s Chinese Astrology. I had finally met a wonderful man and after a while he proposed on top of the Eiffel Tower whilst on our first (of many) overseas trips. Again I rang Melynda to ask about an auspicious date to get married which she supplied me with as I wanted this wedding to be my last! It occurred to me that it would be more beneficial for me to learn the art of Chinese Astrology and date selection myself rather than having to rely on Melynda every time there was an important occasion in my life. So I commenced study with the Australian Academy of Feng Shui under the brilliant teacher and now good friend, Vic Ketis. For two years I went through all the modules in the Chinese Astrology course 1 to 8 and enjoyed every second of my learning. Vic has such a wonderful in depth knowledge and the way he also ties in Western Astrology and Sacred Geometry principles in his teachings widens your perspective of Astrology in general. Whilst completing this study I had started my business, Feng Shui Harmony and really enjoyed assisting clients create prosperity , abundance and wellbeing using the principles of Traditional Feng Shui and Chinese Astrology which originated in China many thousands of years ago. 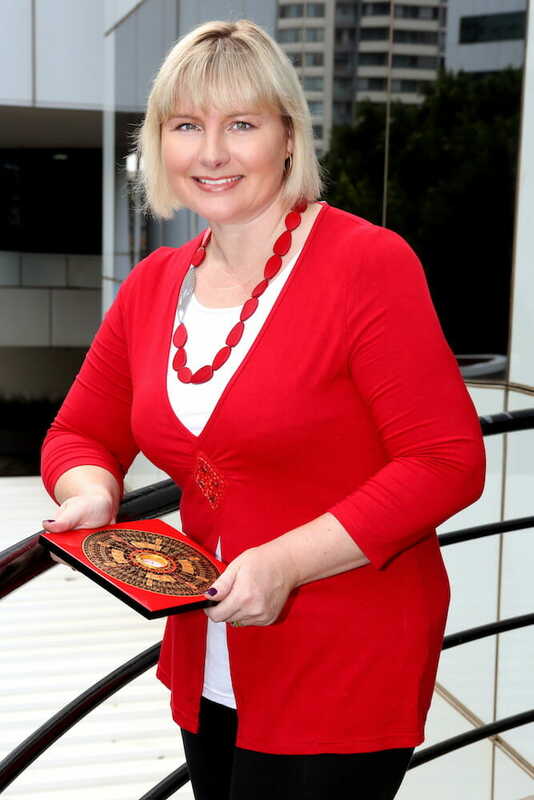 I decided to also give back to my profession and become a Board Member of the Association of Feng Shui consultants and enjoyed assisting the development of Feng Shui in Australia through my membership of that. I enjoyed working with Liz Wiggins who was President when I joined and who asked me to become Treasurer which I did. When she resigned as President to focus on selling Real Estate I stayed on as Treasurer but things just weren’t the same without her at the helm so I too resigned part way through my term as Treasurer but I am still an active member of the Association Áand uphold its Code of Ethics. I also decided to join the International Association of Feng Shui Consultants (Australian chapter) and attended both the AFSC and IFSA conferences in 2010. Obviously one of the perks of being a Feng Shui Consultant is you can activate your own prosperity quite well. I had moved from my previous home following the property settlement and purchased a new home in Westleigh with my new husband. Obviously I did a Pre-Purchase inspection on this home and it started with a 7/10 ranking but after a few minor changes – a wall added here and another one removed there, placement of simple remedies, water fountains and use of colours and furniture placement it has achieved a very high ranking of 9/10 in terms of Feng Shui. As a result I was very successful in the raffles at both conferences where I picked up 4 prizes (I bought 12 tickets) including the major prize at the AFSC conference and 2 prizes (I bought 10 tickets) including the major prize at the IFSC conference. I also won two major prizes in the coming months in 2 separate competitions which I had only put one entry each in for. So in 8 months I had won 8 prizes (4 of them major prizes!) which was simply superb. My husband has also achieved a lot in his career since I’ve activated his office using the principles of Feng Shui. The home we have created together is a very happy one and my children thrive in such a supportive, harmonious environment as a result. Still I wanted to learn more so I studied Chinese Astrology with White Dragon Academy where the importance of harmonies and clashes were reinforced. I also studied with Grand Master Raymond Lo, who taught me all about I Ching Divination which was so fascinating. I was privileged to be in the class where he declared that Australia would have a hung parliament in the upcoming election. I really enjoyed learning from Grand Master Lo, coming from a teaching background myself, the way he structures his teachings in such a well formulated and thought out way makes such a challenging subject easier to understand. Despite already having the basic foundational level of Feng Shui required to consult I wanted to delve deeper and learn more formulas so I undertook more study with Grand Master Lo, successfully completing Feng Shui 1 and Feng Shui 2 with him in Perth. I also completed some online study with Master Lillian Too. I really enjoyed implementing all that I had learnt with my clients homes and businesses and was achieving some great results. Still my thirst for more was unabated. There are so many formulas that can be applied in Feng Shui but due to family responsibilities I couldn’t take too much time to go overseas and study there. Amazingly I discovered that Melynda who had been the Personal Understudy of Master Liu for over 18 years had been granted permission from her Master to start teaching in Australia. I felt like my Feng Shui journey had come full circle and that I was going to be able to learn more of the intricacies of Feng Shui without having to go to China and study (like Melynda had to do). I have done a few courses with Melynda, specifically about Fire Placement in the home, fire as it relates to people living in the home, the influence of Period 8 energy, the influence of Annual Visiting energy and Tips for selling real estate. 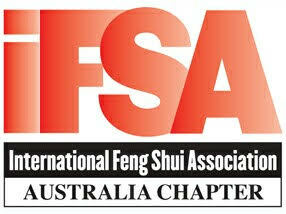 I am also a volunteer for the IFSA assisting them whenever they require to run seminars and events in Sydney. I am helping with the upcoming International Feng Shui day on 28 January 2012. It is with the utmost delight that I am coordinating interested students to study with Melynda Munroe when she teaches in Sydney in April next year. In so far as my favourite services – it is so hard to say. I particularly like conducting Space Clearing ceremonies as these recharge the energy in such a positive way for the buildings where they are conducted. I also really enjoy working on pre-purchase inspections and renovating or building plans as the advise provided on these reports can minimise issues from arising in the first place. My basic consults are the most popular and often it is just a case of placing a few remedies, a water fountain here or there and rearranging rooms – turning a bedroom into a study or vice versa that can make such a positive impact for the occupants. 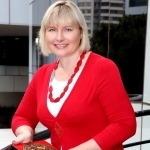 I started my Feng Shui journey with Melynda who was my first Consultant and first teacher in 2004. I feel like I have now got the knowledge I need to be an outstanding Feng Shui consultant who can provide indepth analysis and more importantly solutions for all my clients to ensure they get the best result possible. For more information on my travels read The Journey of the Turtle.